I have a Jamboree that has some interior damage from water leaks. I believe I have stopped the leaking but would like to find out how to replace interior ceiling and wall panels damaged by the water. I am also looking for a replacement mattress that has a diagonal cut on the corner. Ray, damaged interior paneling can be removed and replaced in some instances, but more often than not, it may be best to simply install new paneling over the existing panels if the structural members inside the wall are still viable. Cabinets, partition walls and other components make complete removal difficult. Oftentimes the paneling is installed before the cabinets are placed making it necessary to completely gut the interior in order to fully remove the older panels. Old paneling may be cut, with a razor knife, close to cabinetry for removal, but then it is necessary to install additional support members inside walls to attach new panels. Much easier to simply glue new panels over the old if you are sure you have the leak stopped. Unfortunately I am not aware of any instructional materials in any media available for this type of repair. The infamous corner-cut mattress. 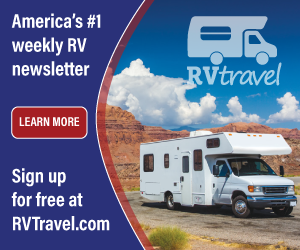 It's extremely hard to find any two RV makers using the same exact size. They all differ in some aspect; even across varying models of the same brand. There is, thankfully, a solution to this dilemma. The Perfect Fit Mattress, offered by Handcraft Mattress Company. 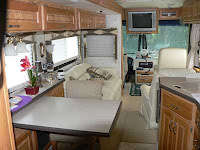 They will custom build any style or size mattress for any RV. All they need are the dimensions for your application and this family owned and operated business will have your mattress ready in two or three weeks, typically. Call them at 800-241-7751. They will send you a brochure with all the pertinent ordering instructions. They happen to have locations on each side of the US which helps facilitate the quick turn-around time. Not only for corner-cut applications, HMC is also the source for short queens, rounded corners and any other odd-ball size you can imagine. I can still envision the weird shape of the cabover mattress in an old pickup camper I had many years ago.